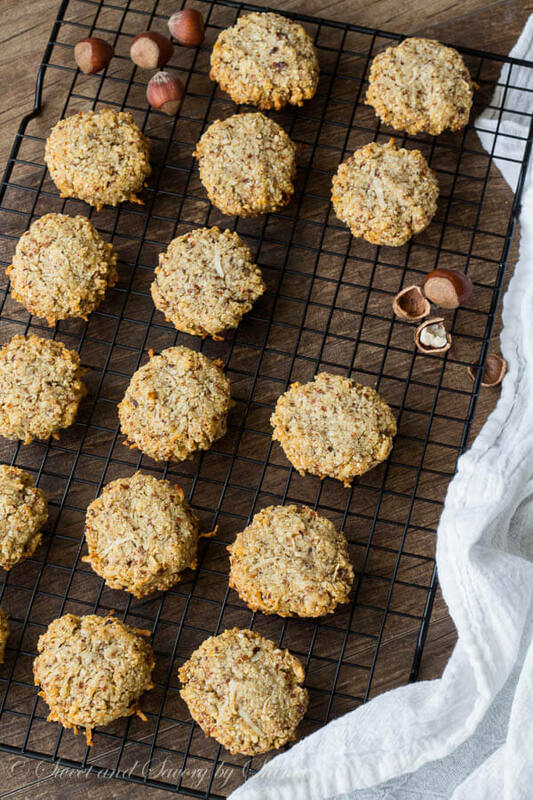 These chewy, wholesome hazelnut coconut cookies are made with only good-for-you-ingredients. No processed sugar, no butter, no flour. And they actually taste amazing!! 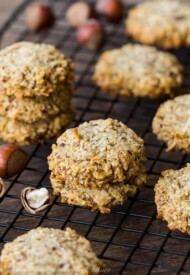 Remember my chewy almond cookies, I shared 2 years ago? Well, those cookies are one of the top 10 recipes on my blog. I get rave reviews all the time from you. And I’m not even surprised. No processed sugar, no flour, no butter. But they don’t lack one thing for sure: TASTE! Now, I don’t follow paleo diet or anything, and I have to admit I do get my fair share of decadent desserts. BUT sometimes, we all could use a healthy alternative, right? And because I had a little bit of hazelnut flour on hand, I decided to make a variation of my almond cookies. They turned out great and I couldn’t not to share them with you. To make these cookies, you don’t even need a mixer. Just mix everything in a bowl and shape them up. You do want to flatten the cookies before baking, because unlike classic chocolate chip cookies, these ones won’t spread during baking. Super easy, huh? Store the leftover cookies in the fridge. Otherwise, I noticed they get a bit sticky at room temperature. Now you don’t have to break your New Year’s resolution to enjoy some cookies. Are you in? 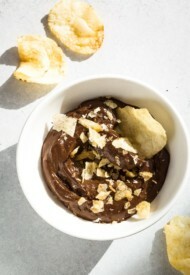 In a large bowl, whisk together hazelnut flour, coconut flakes, baking soda and salt. Set aside. 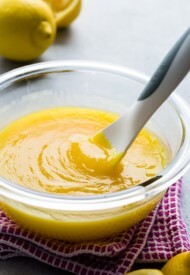 In a small bowl, mix together honey, coconut oil and vanilla extract. Add wet ingredients to the hazelnut flour mixture and mix well. The mixture should be thick. Using a medium cookie scoop, shape the dough into 16 1-inch balls and place 8 cookies per baking sheet lined with parchment paper, or silicone mat. Flatten the cookie dough balls. Bake for 8-10 minutes, or until golden brown. The cookies will be quite fragile as they come out of the oven, so cool for 5-10minutes on the baking sheets first, and then transfer onto wire rack to cool completely. 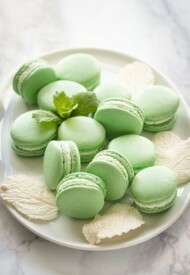 Can I make these using almond flour or half and half. Love hazelnuts but the flour is so expensive in Oz. $13.,, for 350gm. Hi, Beryl. Yes, you can certainly use the mix of those flours. Hope you’ll enjoy! Let us know. These are amazing cookies! I made a half-batch because I wasn’t sure, but definitely wish I had made a whole batch! Hi, Stef! So glad you liked the cookies. Maybe next time you’ll double the recipe. ;P Thank you for your feedback! Extremely easy to make and very tasty! Yay, so happy you tried and loved these cookies. Thanks for your feedback, Kathleen! I am on a ketogenic diet and would like to make these using butter since I do not eat sugar. How much butter would you suggest using? Thank you! Hi, Dina. I’ve never tried this with butter, but you can swap butter for the same amount of coconut oil. A tasty, quick and easy recipe! But forget the melon baller, just wash your hands, roll up your sleeves and dig your hands in to make the dough balls. I wanted these for a holiday event so I melted and drizzled a very small amount of dark chocolate over them and they were a big hit. Hi, Patti! So glad you loved the cookies. And the chocolate drizzle sounds perfect! I’ve made these twice now (the last time being a double batch) & just wanted to say thank you for such a great cookie! They turn out perfect every time. I personally love the chewiness when they’re at room temp. I shared some with my co-workers & they loved them, too! Hi, Robyn! So glad you’re loving these cookies! Thank you sooo much for your feedback. Yum! These are amazing! Thank you! Yes, guilt-free treats! Hope you get to try these, Gabriela. Thanks for stopping by! I’m so happy I found your blog! I’ve been searching for some healthier desserts and treats to try…this is perfect! I’m going to look through the rest of your recipes too, as they all look so yummy! Also, congratulations on your new addition! My baby girl is 6 months and it’s really been the best! 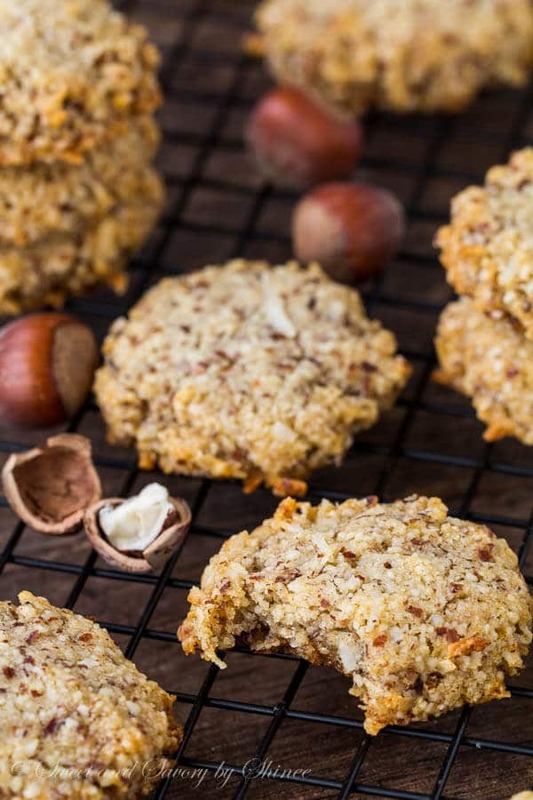 Love the cookie recipe – thank you as always for sharing. I’ve been checking my e-mails for news on the arrival of your son as a follower of your blog so absolutely it would be great to hear the story of your son’s arrival. Congratulations to you and hubby and family!! 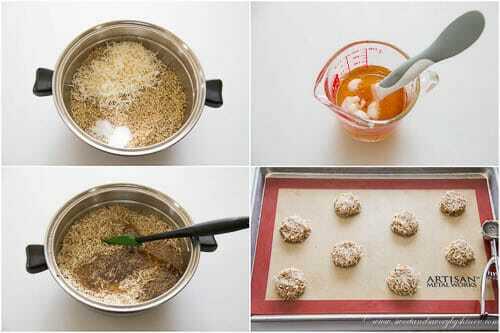 A beautiful cookie recipe. Thank you Shinee. Have a great weekend. Two of my favorite flavors! 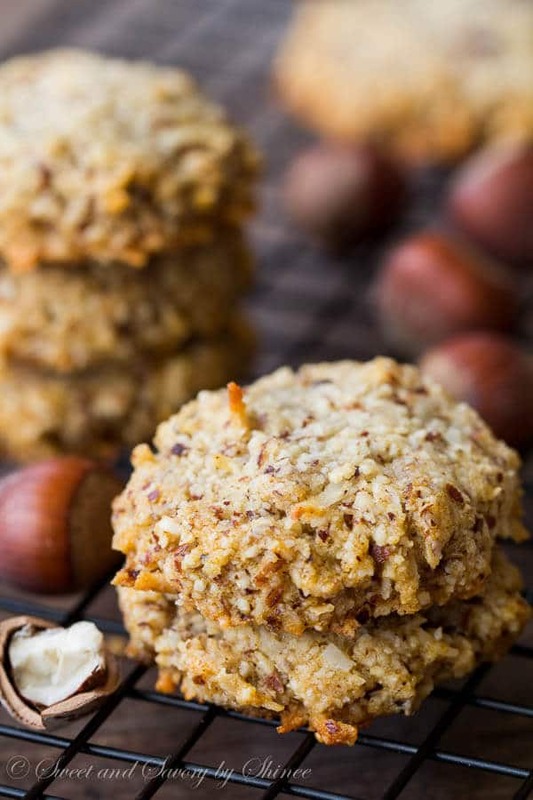 These cookies look beyond delicious- pinning!